Based on Northgate in Wakefield, Yorkshire and very close to the town center we are ideally placed for you to relax and unwind with great food, the taste of quality drinks and an atmosphere filled with the steady rhythm of the smooth beat of jazz music. Inspired by great food, a passion for quality ingredients and the desire to create an environment with an inviting homeliness where everyone is welcome. So, if you crave great food and drink using traditional methods, you’ll love knowing that we provide a real alternative to the usual chain shop offerings. 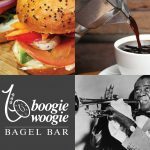 The naming of Boogie Woogie Bagel Bar came from a very personal story for us. Of course, centred around a lifelong passion for jazz music and the boogie-woogie era but perhaps more so from our son’s love of the rhythm of jazz. Given any opportunity he would be found bopping along to our favourite hits, more often than not at the breakfast table, where he clearly thought eating was a hinderance to his dancing! Thus, in our mind, becoming the ‘Boogie Woogie Bagel Boy from Pontefract Town’. We are a ‘local’ independent business showing support to others in the area too, so wherever possible, our produce is locally sourced giving you fresh quality ingredients direct to your table. We love the simplicity of the humble bagel giving you the opportunity to mix it up a little with both sweet and savoury fillings to whatever taste you desire, bringing choice to your breakfast and lunch. 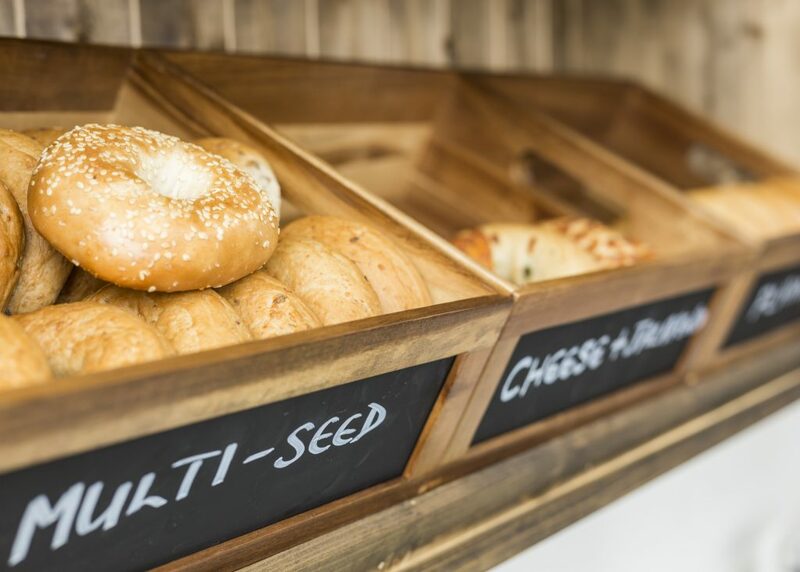 Our exciting menu is a selection of carefully crafted fillings, to bring any bagel to life at any time of day and with options that will satisfy anyone’s taste buds. Driven by our daughters needs as a diagnosed Coeliac from the age of 8, we have made every effort to accommodate this dietary requirement as much as possible in to our offer. Modern day shopping allows for a great selection of gluten free products however, as a family, we have often struggled to find a suitable menu when it comes to food-on-the-go options. Look out for our tasty gluten free choices and if we don’t have what you are looking for, just ask us. We don’t do frothy coffee! We do however offer high quality filtered coffee, served up as it should be, in a cafétiere, delivering the perfect brew, every time. When it comes to coffee selection, this is where we widen our search a touch, finding the best flavours, strengths and tastes and continually bringing the best coffee to Wakefield. Sometimes, happiness is a cup of tea. We have a great choice of quality filtered teas to choose from too, or if you prefer, it can be served up like ‘granny used to’, using tea leaves and brewed for as long as you like. 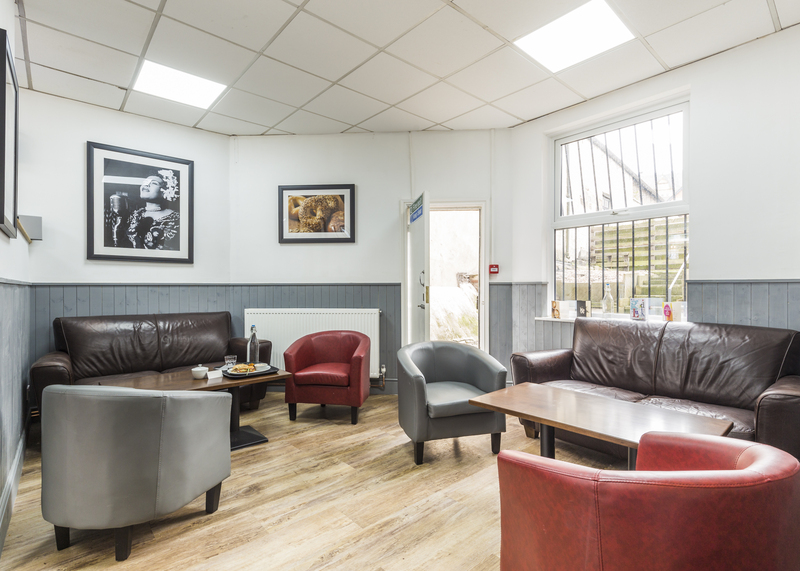 We cater for those wanting to grab breakfast and lunch on the go and if you want to take time out, relax, chat or meet up, then we have the space for you. Come in, sit down and unwind…we even offer free WIFI over both floors if you really want to keep connected with the outside world. We look forward to welcoming you very soon.